When winters break in with rains and rains , the kids and family is down with Flu !! What do you do ? How do you do?? 😀 This Halwa comes to the rescue ! 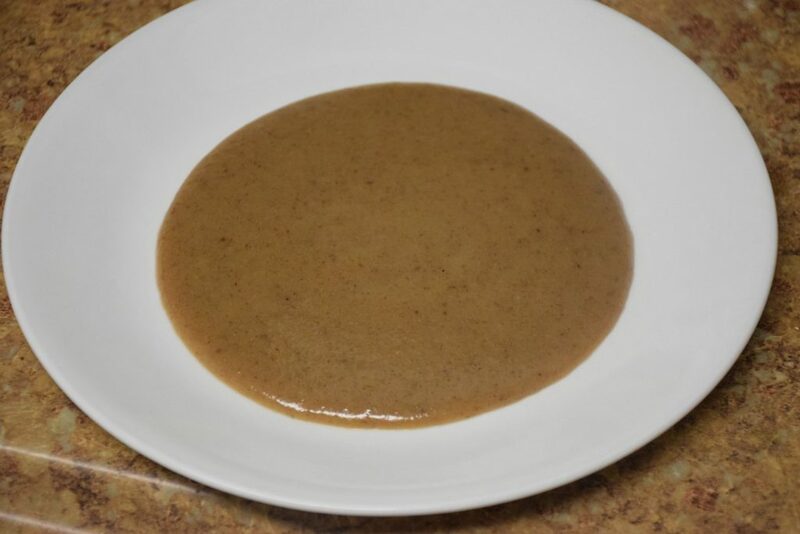 Although traditionally, this halwa is made by soaking almonds in water (overnight) , I took a short-cut and it came out as good as the traditional one. 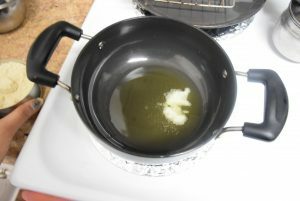 To find out what’s the trick , lets jump to the recipe now..
2. 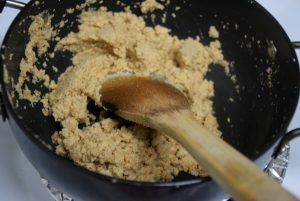 Add the almond flour and walnut flour(optional) in a wok(kadhai) and add ghee in it. Turn on the heat and start stirring them together. 4. 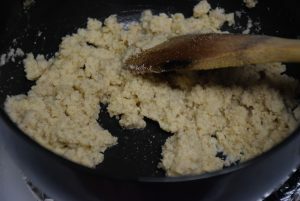 After about 5 mins, when the milk starts evaporating, stir the halwa and add sugar to it. 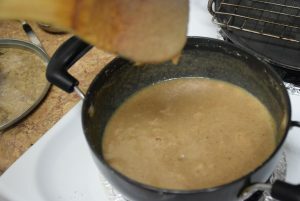 Continue stirring on medium to high heat now. 5. 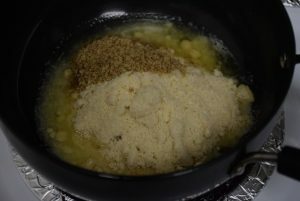 After about 15 to 20 mins, when the mixture starts thickening, add the cardamom powder and stir it well. Turn off the heat now. Since this halwa tastes better in viscous form (My daughter likes it that way: she calls it creamy halwa . 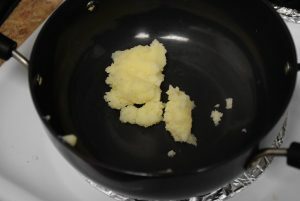 :D ) , but you may thicken it to the level you like. 6. Serve it immediately with some silvered almonds on the top and enjoy !! This Halwa is a boon to us from our ancestors. I hope this would remind you of your grandparents too ! 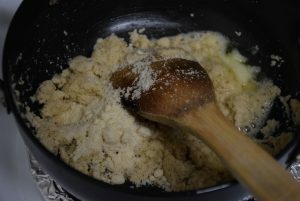 Wishing you their love and warmth, and the new year’s sweet beginnings , I sign off..
Add the almond flour and walnut flour(optional) in a wok(kadhai) and add ghee in it. 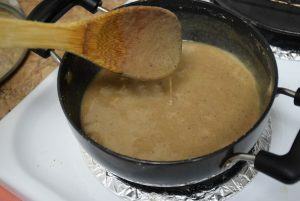 Turn on the heat and start stirring them together. 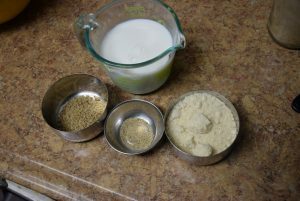 After about 5 mins, when the milk starts evaporating, stir the halwa and add sugar to it. 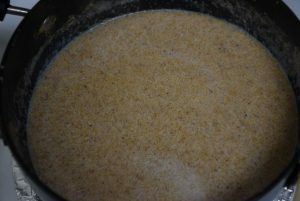 Continue stirring on medium to high heat now. 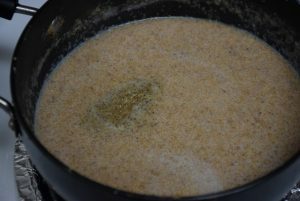 After about 15 to 20 mins, when the mixture starts thickening, add the cardamom powder and stir it well. Turn off the heat now. Since this halwa tastes better in viscous form (My daughter likes it that way: she calls it creamy halwa . 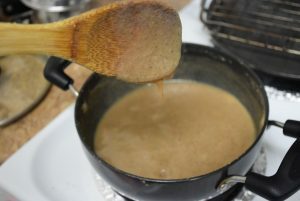 :D ) , but you may thicken it to the level you like. Serve it immediately with some silvered almonds on the top and enjoy !! 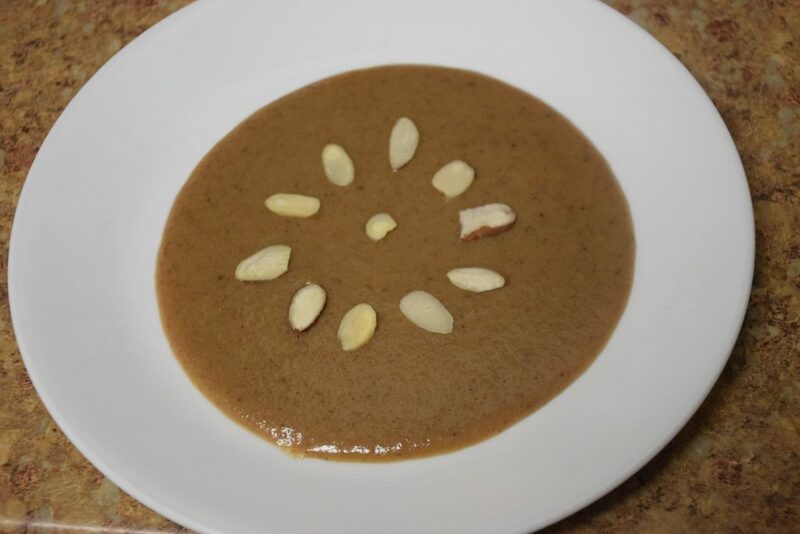 This entry was posted in Desserts, Food, Kids- Favourite, Recipes and tagged 2018, almond extract, almond flour, Almond fudge, Ancestral recipe, badam halwa, Badam ka Halwa, best for rainy days, cardamom powder, Carenshare, cold and cough reliever, cold days, Dadi ma ke nuskhe, ghee, in modern way, milk, mom, New year's sweet beginnings, Punam singhal, pure clarified butter, quick fix, shweta jindal, sugar, Sweet cravings, zindagisikhati.